Do you love buffalo chicken wings? Unfortunately, they're generally not particularly nutritious if they're fried and tossed in that buttery sauce... Here's an easy way to get your buffalo fix with a VEGETABLE... cauliflower!!! 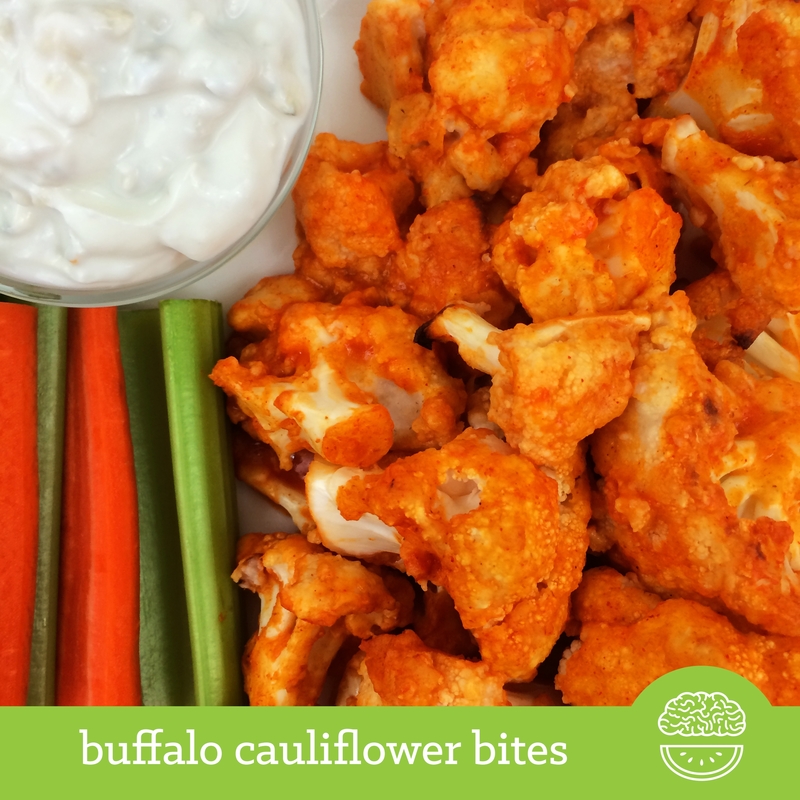 These Buffalo Cauliflower Bites are SERIOUSLY delicious. Perfect for game-day! Give my Buffalo Tofu a whirl for a protein packed variation! Feel free to try this with other vegetables and protein! Cauliflower are just fun because they also resemble boneless wings! Yields 6, 1 cup servings.